With the days becoming shorter, it can be hard to stay fit. Check out these options to help you get a healthy start to 2016. It’s said that Tipness Roppongi is more like an upscale spa than just your run-of-the-mill gym. And with a luxury swimming pool and sauna, numerous fitness machines, and more than 170 classes a week, it’s little wonder why. Get fit this winter and reap the benefits with classes in yoga, aerobics, muscle conditioning, Tai chi, and many more. Or work out with rhythm and burn off those calories with an extensive range of workout dance classes. These include the popular Latin Dance Aerobics (fantastic for fat-burning and flexibility), Power Rush with barbells (great weight training for upper body toning), and Aqua Dance with Hip-Hop and Jazz (great for fitness and for breaking out those moves on the dance floor). 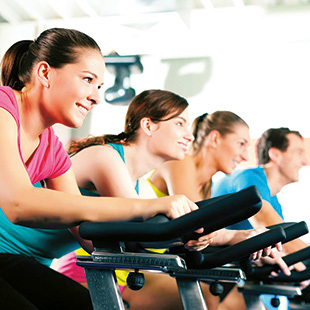 And take advantage of their large gym space, which includes over 37 aerobic machines. Tipness Roppongi also has a large non-Japanese clientele and their English-speaking staff members are highly accommodating. So whether you are Japanese or from abroad, you will feel right at home. Tipness Roppongi has a series of special offers this winter, including an under-30s package that allows you access to the gym at any hour (¥9,720/month). Or take advantage of the Flex 4 deal (¥7,560/month), which is great for people looking to exercise 4 times a month. So whoever you are, pop in today and start feeling great! Get the body you want in 2016 with the help of the trainers at Club 360. With a wide range of classes that includes boxing, yoga, core, and cardio, plus Fit 360, Kickfit, and Boot Camp, Club 360 can match you to the perfect regimen. Group classes are available, but courses can also be designed specifically for you—personal trainer and all. In addition to training, dietary services are also available. Classes are drop-in and payment plans are flexible, so there’s nothing stopping you from grabbing that New Year’s resolution and seeing it through. As a Metropolis reader, you can even get one month of unlimited classes for just ¥35,000! So if you’re unsure whether boxing, yoga, or cardio is right for you, try them all—with the help of the expert staff—and make this the year you achieve your fitness goals. 1 month of unlimited classes for only ¥35,000! December is filled with parties and food. It makes for a perfect month of celebration, but when January starts it’s time to turn over a new leaf and start burning off that holiday padding. With a network of over 700 gyms in 30 countries, Gold’s Gym has become synonymous with weight training. And with 51 locations across Japan—including in Shibuya, Omotesando, and Ginza—the global favorite fits perfectly into your schedule. Most are open from early in the morning until late night—and Harajuku, Omori, Ginza, Gyotoku, Atsugi, and Omiya are open 24 hours—so you can train stress-free anytime. A variety of traditional and modern equipment is available, all suitable for both beginners and experienced lifters. 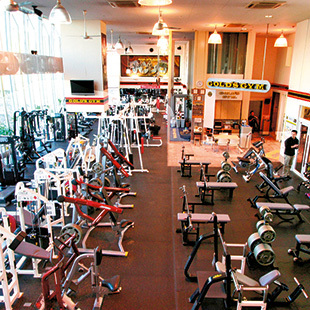 Plus, the Japanese locations carry as many free weights as you’d find in any U.S. gym. Make a fresh start in 2016 with the help of Gold’s Gym! At MagaGym, you can learn Krav Maga, the renowned self-defense system developed by the Israeli military that has become so popular that it’s used by the FBI and SWAT teams across America. MagaGym’s highly skilled black belt instructors will teach you how to defend yourself in a calm and focused way, through intense and oftentimes fun training programs. Krav Maga is built around our body’s natural human reflexes, and teaches students of all ages, genders, and body types to defend themselves in real world situations. MagaGym’s fitness curriculum also incorporate heavy bag workouts and trunk training TRX exercises, which are great for keeping fit. So if you’re looking to change your body and change your life, visit MagaGym, with locations three minutes from Roppongi Station and four minutes from Akasaka Station.